A 2017 RT Reviewer's Choice Nominee for Best Fantasy Romance! Seafaring prince Dilys Merimydion has been invited to court the three magical princesses of Summerlea. To eradicate the pirates threatening Calberna and to secure the power of the Sea Throne, Dilys vows to return home with a fierce warrior-queen as his bride. But politics has nothing to do with unexpected temptation. A weathermage like her sisters, Gabriella Coruscate’s gentleness exemplifies the qualities of her season name, Summer. Yet her quiet poise conceals dangerous powers she cannot begin to wield. Better to live without excitement, she reasons, than risk her heart and lose control—until an irresistible Sealord jolts her awake with a thunderclap of raw desire. When pirates kidnap Summer and her sisters, Dilys begins a desperate quest to save the woman he loves. Only by combining his command of the seas with the unleashed fury of Summer’s formidable gifts can they defeat their brutal enemies and claim the most priceless victory of all: true love. C. L. Wilson wrote her first story at age six, and though she took a number of long detours during her life, she never gave up her lifelong dream of being published. Many years, hundreds of false starts, and five completed novels later, she received "The Call" in October 2006 and sold her epic fantasy romance, Tairen Soul, at auction. Her debut novel spent two weeks on the USA Today bestseller list, and her subsequent novels have gone on to hit a variety of lists, including USA Today, New York Times, and Publishers Weekly. When not writing, C. L. enjoys relaxing with her husband and three children in sunny Florida and daydreaming of a world where people exercise in their sleep and chocolate chip cookie dough ice cream is a fat-burning food. 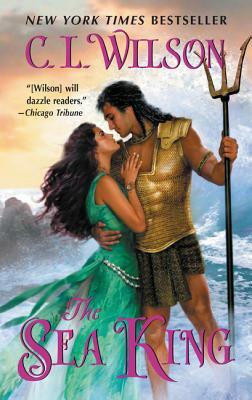 “Wilson’s careful crafting of the various fantasy kingdoms makes them come vividly to life... This fantastical romance provides an expert mix of magic, love, and adventure.